Swanson’s offers a wide variety of poultry products from traditional to all natural anti-biotic free birds. We understand that each operator is unique and what might work for one might not work for another, so we’ve tried to accommodate all by carrying a wide range of poultry products. Each week our production team processes thousands of pounds of poultry products cut and packaged to our customers exact specs. Below are sample lists of the more popular poultry products that we carry, if you do not see what you are looking for on this page, please give us a call , odds are we do have it. Koch Poultry – Since 1985, Koch Foods has provided top quality products & service with a focus on value, Koch Foods is one of our preferred suppliers of fresh and frozen poultry products. Koch Foods approach has also been to deliver quality with a focus on value, with this approach Koch has grown into one of the nation’s top food manufactures. Koch allows us to provide our customers with a low cost poultry product with consistent taste and flavor. Gerber’s Amish Farm – Better Feed. Better Taste. 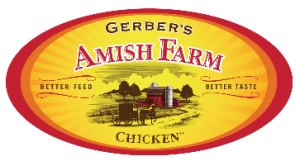 Located in the heart of Ohio’s Amish Country, Gerber produces and processes a truly all natural, antibiotic free chicken. Chickens are raised on Amish family farms and their diet consists of the highest quality vegetarian feed. Chickens have plenty of room to roar and are never ever given any additives or antibiotics. Michigan Turkey – Producers take great pride in bringing customers only the best products. A cooperative of family farms – their focus is on quality not quantity. Michigan Turkey starts by growing some of the best heavy tom turkeys in the industry, and processes them in a top notch state of the art facility ensuring consistence and quality. The end product is turkey that is wholesome and flavorful. 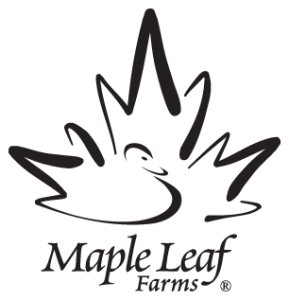 Maple Leafs Farms – At Swanson Meats we offer a variety of Maple Leaf Farms duck products from traditional whole duck to convenient portion sized breasts are more. You’ll find it easy to incorporate duck into your menu. Discover the perfect duck item that will make your signature plate even memorable and flavorful! We also carry a smaller variety of game birds. Game birds offer your customers a unique and different dining experience. Some of our game birds are seasonal, others are special order only.